With the unique instrumental line up of clarinet, violin and guitar, Threaded creates a distinctive sound like you’ve never heard before. With a classically trained background but a love for folk and acoustic music, this young and inspired trio wanted to combine their passions into one musical experience. This culminates in a creative ensemble, with an eclectic array of styles and influences in their original material. Featuring beautiful melodic lines, combined with stylistic harmonies, atmospheric counter melodies and carefully crafted riffs, the balance between these three musicians is stunning. Rosie Bott (clarinet), Ning-ning Li (violin) and Jamie Rutherford (guitar) combined forces after a realisation of how good the clarinet, violin and guitar could sound together! 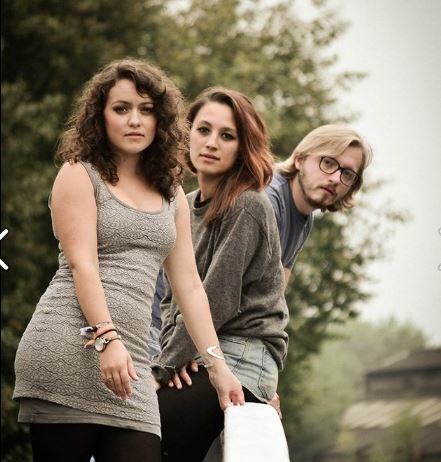 A student and two graduates from Birmingham Conservatoire, they started writing at the end of 2013, with their debut gig in April this year. They have just recorded their first EP, which is both a musical and visual piece of art, designed by Jamie and illustrated by Ning-ning. As individuals, the band have a wealth of playing experience, having performed with: Fairport Convention, Joe Broughton’s Conservatoire Folk Ensemble, members of The Urban Folk Quartet, Josh Savage, The Bonfire Radicals and Auriyga, as well as a variety of orchestras, pit orchestras and chamber ensembles. As a group they have recently supported and played on line ups with 4Square and Reg Meuross.